Zionist Organization of America slams Obama decision to free Cuban spies - one murdered an American - while leaving Pollard in jail. One of the three Cuban spies freed by Obama murdered an American citizen, and all three have only served 13 years - by contrast, 60-year-old Pollard is now in his 30th year in prison amid failing health on charges of passing information on regional threats to Israel. "It is remarkable that President Obama, who has been repeatedly urged by US officials who held responsibility at the time for national security and intelligence matters to free Jonathan Pollard, has refused to do so," said ZOA national president Morton A. Klein. Klein continued "conversely, he has shown himself, this week, to be willing to free three convicted men who spied for a long-term enemy state, Cuba, including one man who was responsible for death of an American national. Where is the logic and justice in that?" "Jonathan Pollard passed on classified information to Israel, a US ally, not a US enemy. There was, thus, no treason involved. Pollard pled guilty to the charges and apologized for his crimes. His crimes did not lead to the death of Americans, as was once claimed, but rather the espionage activities of Aldrich Ames and Robert Hanssen, whose actions came to light only after the Pollard sentencing, were shown to be responsible for those results," noted Klein. 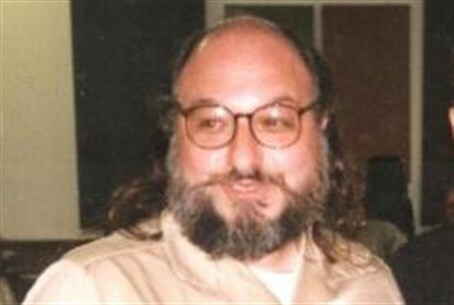 "Despite, having pled guilty as part of a plea bargain, Pollard was shown no leniency and was given the maximum sentence, comparable to that of Aldrich Ames, the chief of CIA counterintelligence in Eastern Europe, who passed critical defense secrets to the Soviet Union during the Cold War, and was found responsible for the deaths of at least 11 US agents!" he added. Just before Pollard entered his 30th year in a US jail last month he had a parole request denied. Eight senior US officials wrote to Obama at the time, decrying the warped justice in the decision and calling it "deeply flawed." "Jonathan Pollard has already served nearly three decades behind bars, which is by far the harshest sentence ever meted out for the offense he committed - the average term for which is a fine or two to four years' imprisonment," said Klein. "If President Obama can free three spies for a hostile state like Cuba, including a murderer, he can certainly pardon Jonathan Pollard. He should do so without further delay."